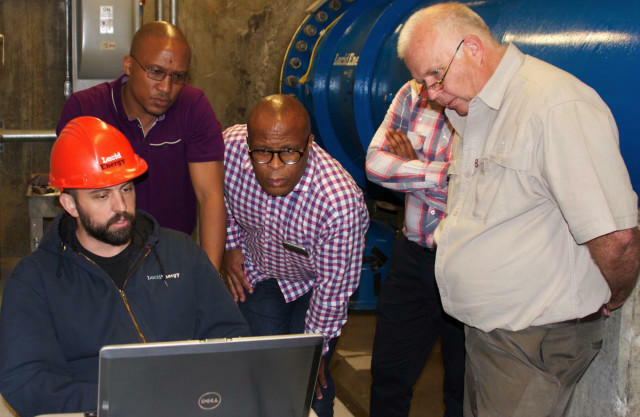 Johannesburg officials visit the Lucid Energy hydropower project in Portland. To visit Lucid Energy's new hydropower project in Southeast Portland, you climb down a ladder through a big metal door in the pavement. That door is the only sign the project there. Priddy: "When you drive by, you don't see a thing." Susan Priddy is the director of operations for Lucid. Priddy: "You have no idea when you drive by that we're there running all day all night, generating energy." She's also the tour guide for me and group of government officials from the South African city of Johannesburg. Priddy: "So, let's do five people first. Make sure whoever's on the ladder gets completely off the ladder before the next person descends." One by one, we climb down into a vault under the street. There's a whirring sound and a huge royal blue pipe running from one end to the other. The sound is coming from the city's drinking water turning four turbines inside the pipe. We can't see the turbines, but Portland Water Bureau director Mike Stuhr has a helpful descriptor. Stuhr: "I don't know if you remember an old fashioned egg beater – the kind with the hand crank? Basically that egg beater sits in a stream of water, and as the water flows by, the egg beater turns and turns the generator that's sitting on top of the pipe." 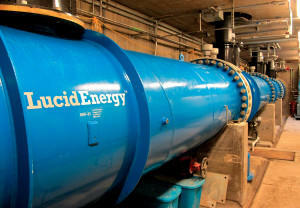 The Lucid Energy pipe in Portland contains four turbines connected to generators in a vault under the street. To Johannesburg Mayor Parks Tau, that egg beater has a lot of potential. His city is regularly forced to shut off the power to its residents when there's not enough electricity to meet demand. The Lucid system could provide much-needed energy in the pipes the city already needs to deliver water. Tau: "The ability to harness energy out of what we're already using in the system makes it such a great prospect. And we've also looked at the pricing. It looks competitive in a country where we're currently facing energy supply problems." Because they're nestled in water pipes, the Lucid Energy turbines don't have environmental impacts like hydroelectric dams in rivers. They tap the power of gravity, which means they don't burn anything. So there's no carbon emissions. And the system runs continuously – unlike solar and wind. But, as with most energy systems, there's a catch. Allcock: "We're going to need thousands of these to get to what we can generate using one of our typical dams." Charlie Allcock is the business director for Portland General Electric – the utility that buys the power coming out of the Lucid water pipe. The pipe generates enough electricity to power about 150 homes. 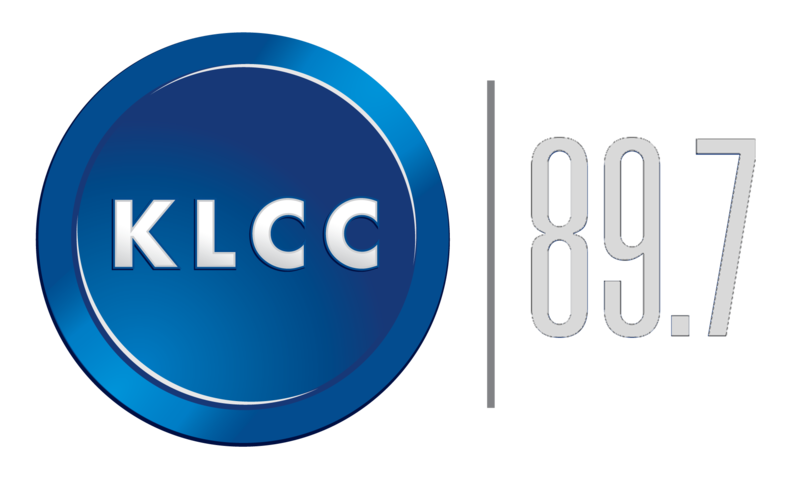 Allcock: "Which is about one 10,000th of what our customers use on an annual basis." That means the Johannesburg Mayor will need a lot of Lucid's little turbines to make up for city-wide power shortages. Lucid Energy CEO Gregg Semler says that's part of the plan. Semler: "Nobody wants small amounts of energy. So, we see ourselves having many of these nodes throughout a city's infrastructure that a city can produce power from." There are limits to how and where Lucid Energy turbines will work. But Semler says he has a lot of potential buyers. Semler: "California, Arizona, South Africa, Chile, Australia, Brazil, India. We've just been inundated with interest all around the country and all around the world." But in Portland, Stuhr says his agency isn't planning to put any more turbines in its water pipes. There are engineering challenges, and his calculations show the turbines aren't likely to pay off. Stuhr: "I think people think the idea is cool. They may not have done what we have to do which is to analyze the economics of it and see just how cool it really is." Portland only stands to make a few thousand dollars a year off the Lucid pipe system. Stuhr: "Technically it will bring your water bill down a tiny, tiny bit." But Stuhr says the system could pay off in places where power is more expensive.